Having not received a formal degree in textile and pattern design I have read numerous books to try to develop a deeper understanding of this industry that I love so much. 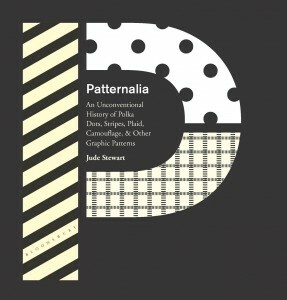 Most of the books that I have read are interesting and inspiring, but Jude Stewart’s latest book, Patternalia: An Unconventional History of Polka Dots, Stripes, Plaid, Camouflage, & Other Graphic Patterns, is definitely the most entertaining book in the industry. It’s a page turner. I am thrilled that Jude agreed to answer a few of my questions about her process and inspiration for Patternalia, in which she shares fascinating stories about our most beloved pattern styles including dots, stripes, checks, camouflage and more. Q: You mentioned that the content in the book is beyond what Google provides and after reading your book I agree! Can you tell us a little bit about your research process? A: I think my experience resembles a lot of book authors, actually. I started looking for books to answer my questions about patterns and their meanings, certain I’d find them. Well, I did find a few semi-similar books – The Devil’s Cloth: A History of Stripes by Michel Pastoureau, for instance, as well as tons of books about the history of plaid or camouflage. But no single book did everything I wanted it to: explain to me the histories and meanings of all the patterns overflowing from my sock drawer. If you can’t find the book you want, but you’re convinced it should exist, well, it becomes your mission to write it. The next challenge was that lots of the books I found only addressed my questions at a slant. A history of paisley written by textile historians will tell you all about how the paisley pattern traveled from Persia to Scotland, how it gave rise to the revolutionary Jacquard loom, how it stayed in fashion for nearly a century in Europe and made tons of money for industrialists. But most of those books don’t tackle paisley as an actual visual: explain its looks and meanings, how it accrued the personality it suggests. To find those answers I had to bushwhack my way across establish library categories. I checked out military histories, symbolism dictionaries, math textbooks, textile and wallpaper histories galore – a lot of weird titles. I also asked everyone I could find for examples of non-Western patterns with distinct meanings. Luckily my husband is an academic (in music history), so we have plenty of buddies with PhDs willing to entertain strange questions. For instance, a Japanese historian friend told me about ensoo, a Zen meditation exercise in which you draw freehand circles (or polka dots). A mathematician friend clued me into transcendental or patternless numbers. Q: What is your favorite story or discovery that you made while conducting your research? A: I had no idea how fascinating camouflage would turn out to be. It encompasses not just the fabric pattern we all recognize, but a zillion other visual sleights of hand. 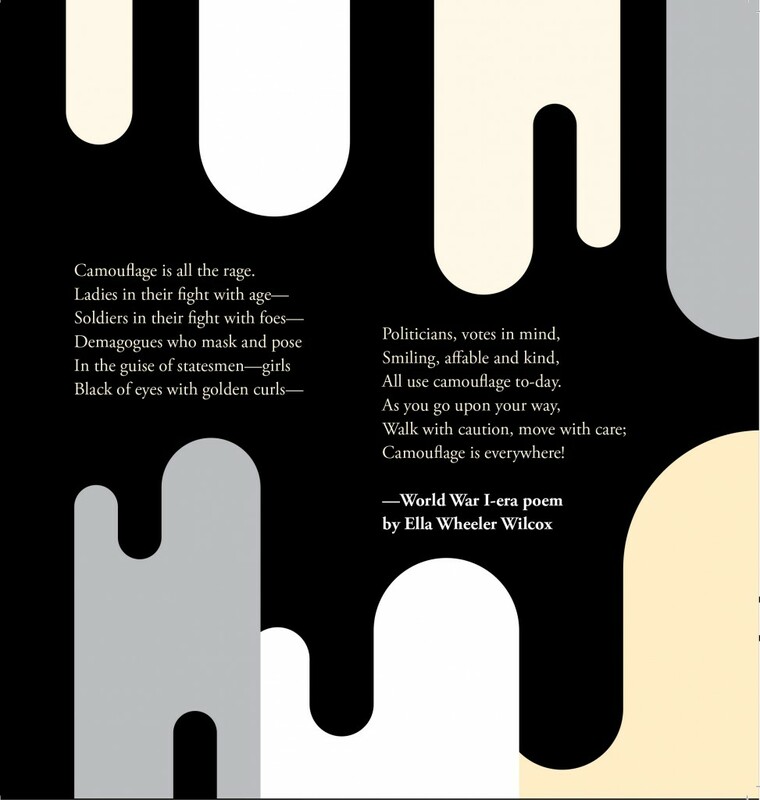 Camouflage was all the rage in military circles during both World Wars and involved way more than just the fabric. The military created special camoufleur units, recruiting former magicians, set designers and artists to hide whole munitions factories and troop movements. They even managed to hide the entire Suez Canal to win a decisive victory in WWII! I also got excited when I stumbled on lamba hoany patterns from Madagascar. These are floral patterns that encode specific mottos or sayings appropriate to a certain occasion. They’re both beautiful and super-witty. For instance: “ A rolling stone never stops until it reaches the bottom” refers to an angry person’s tendency to run off at the mouth. Kanga floral patterns are an East African equivalent, but with different sayings. My favorite one is this: “You can visit all the butchers, but the meat is the same” – a pointed reminder not to date around too much. Q: You mentioned that Patternalia got its start after writing several blog posts on the topic of patterns. What inspired those initial blog posts? 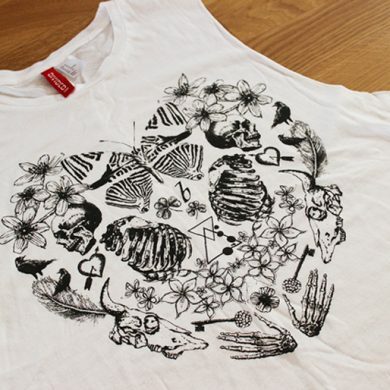 Have you always been interested in patterns? A: Yes! I remember tiling and wallpaper patterns from childhood really vividly. It’s always fun to reverse-engineer how the complicated designs are made. My grandma in Louisville, Kentucky, had papered their living room with an ornate Churchill Downs pattern – that’s where the Kentucky Derby takes place – so I loved picking that pattern apart. We also had a tiny bathroom at home tiled with black-and-white hexagons. At close range, they looked like dancing pandas, but then you could zoom out and imagine different scenes. Patterns are tiny but powerful: all it takes is a simple figure and a rule of repeat and you can conquer huge expanses of space. I’ve always found it curious how we imbue patterns with personalities. Why should polka dots seem female, and why Hawaiian-print shirts obnoxious and graceless? It’s a fascinating but, it seemed, unanswerable question – so I set it aside. Then I wrote an article for Print Magazine in 2009 that was a short, “patterns are back”-style trend piece. It brought that old fascination with patterns back and prompted bigger questions, too: where did these classic patterns like polka dots, stripes, fleur de lis, plaid actually come from? How did I learn all these patterns’ names in the first place? I researched the patterns’ histories and try to pin down their various meanings for the article, which whetted my appetite for more. I wanted to go really wide-angle with it: what if you could enter into Google search, not the keyword “polka dots”, but instead search for patterns across cultures that resembled what you and I might call polka dots? Next I wrote a slideshow for Slate about polka dots as kind of a proof-of-concept. That gave me confidence to try an entire book about this. Q: What is your favorite pattern style and why? A: I love black-and-white checkerboard. It’s clean, super-simple, yet striking and handsome at many different scales. It also conveys a surprising range of meanings across cultures. B&W checks can suggest speed (in checkered racing flags), law and order (in the form of “Sillitoe tartan”, common on police uniforms), and spiritual protection (in Bali, you can drape B&W-checked fabric called wastra poleng over anything you want to shield). Q: How has writing this book affected the way you view patterns in your day-to-day life? A: Patternalia did for me what I hope it does for other readers: awaken and inform your eye to all the meanings a simple pattern can contain, across cultures, disciplines and contexts. I can’t walk past a brick building without looking up the pattern’s name – did you know bricklaying patterns have their own vocabulary? You may not need to know all this stuff to design a great pattern or choose a wrapping paper, but these stories are both fun and enrich your daily life. Knowing more about patterns definitely deepens your appreciation. Get your copy of Patternalia here.